Expro is the global market leader in cost-effective memory production logging. Where realtime services are desired, surface readout production logging tools are available. All our logging services are supported by data analysis centres, which includes bespoke analysis to meet clients' requirements. Expro’s production logging strings can be deployed via slickline, coiled tubing and electricline to log any well configuration. With a comprehensive range of available sensors, the logging toolstring can be configured to optimise the data collected, depending on the client needs. 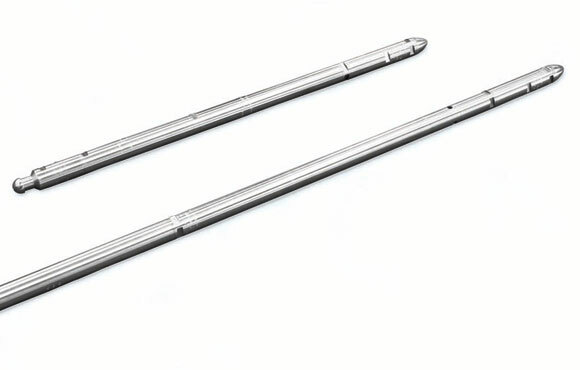 Expro’s downhole memory gauges have established a global reputation for reliability, providing the industry with bottom hole pressure and temperature data of the highest integrity. Our gauges cover a complete range of applications including high pressure/high temperature testing at 20,000 psi and 200 °C, extended surveys in excess of one-year duration and short gauges for side pocket mandrel installations or restricted height rig-up applications. With large memory capacity, faster sampling rates can be achieved enabling better characterisation of early-time pressure transient data.